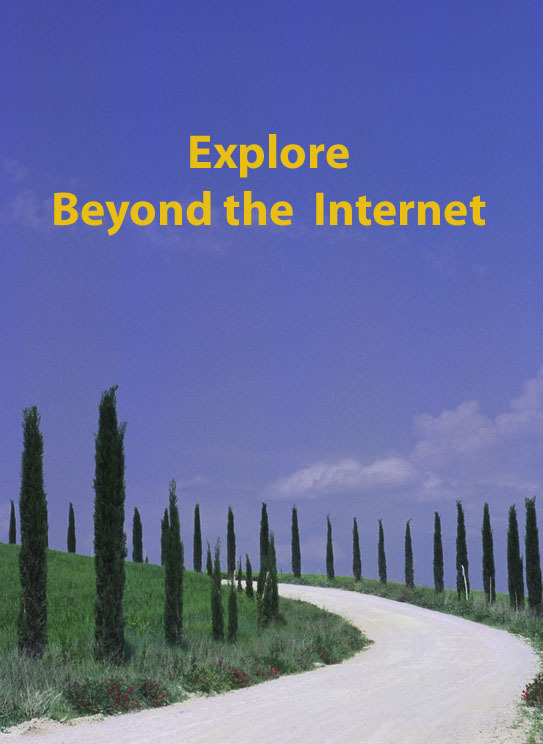 This entry was posted in BEYOND THE INTERNET, Cass family history, Dorfprozelten research, Gavin Family Queensland, Irish family history, Kunkel Family History, World War I and tagged Anzacs, battalion histories, battle histories, Beyond the Internet, Germany, Ireland by cassmob. Bookmark the permalink. Your posts are always so informative Pauline that I’m delighted to be able to add a little to this topic. 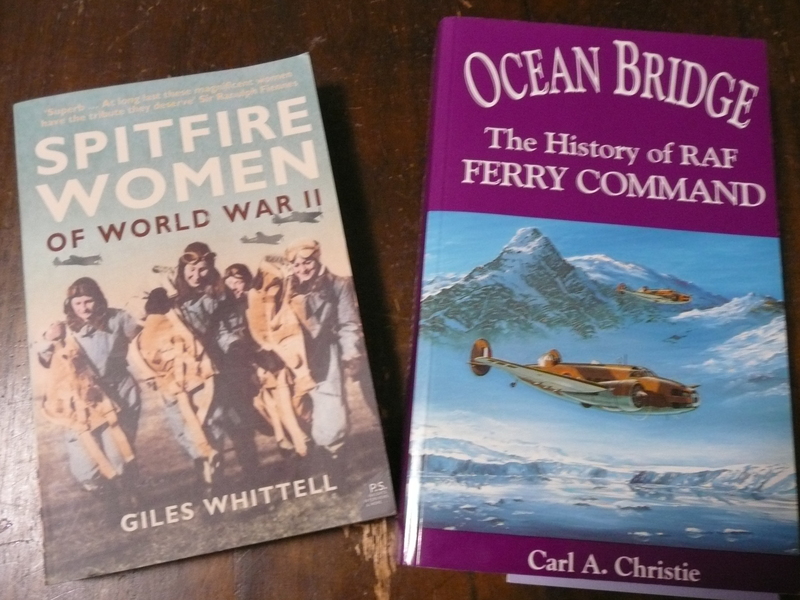 I too have found reading Military History most useful in helping understand the lives of Ancestors. 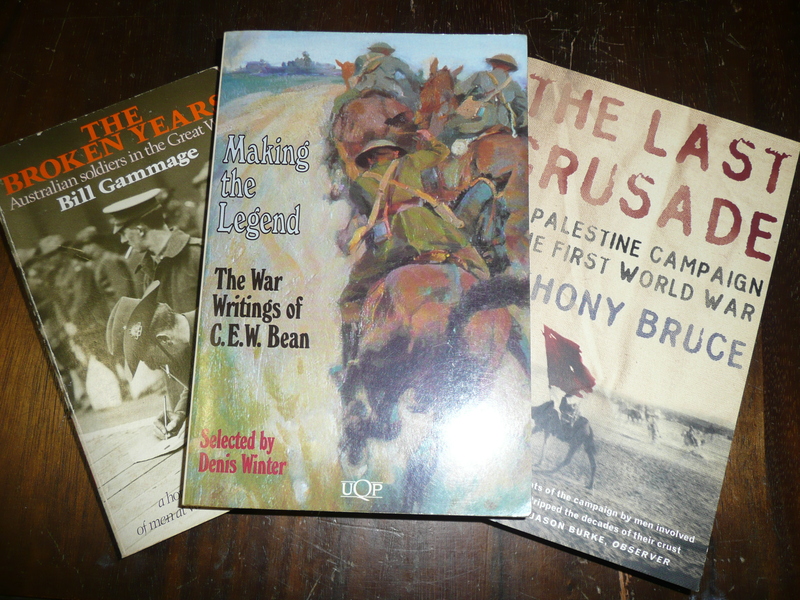 My husband’s Grandfather was “on the Somme” and I found “Somme Mud – The war experiences of an Australian infantryman in France 1916-1919” most enlightening. It was written by Private E.P.F Lynch, in pencil in 20 school exercise books on his return from France in 1919, and edited and published by Will Davies in 2006. My husband’s Uncle was in BCOF (British Commonwealth Occupation Forces) in Hiroshima, Japan. 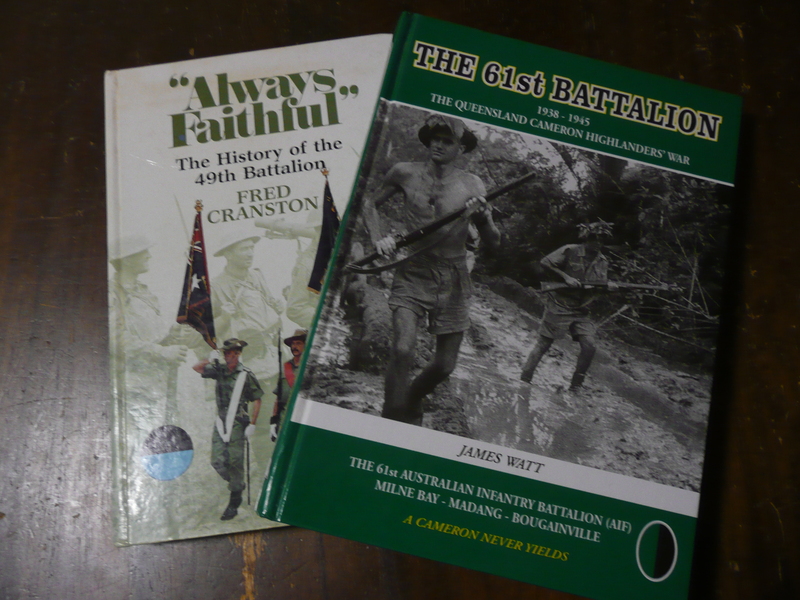 As is written in the Foreword “Most Australians don’t know their troops occupied Japan for nearly seven years after fighting ceased and peace was signed.” I only know because a family Death Notice (accessed via Trove) had “serving in B.C.O.F” entered after his name so I went hunting. The book is titled “BCOF An Unofficial History” and is prepared and edited by Larry Lacey in 1995. He, like many, sufferred the effects of radiation from the bombing of Japan. I also inherited, from my mother a copy of “The Australian Magazine” titled “Our Finest Hour – Australia on the Western Front 1916-1918”. It is a 57 page Special 75th Anniversary Edition published Aug 7-8 1993 which is most informative, esp the maps of troop movements. Finally, as you would know there was a great German/Prussian migration to South Australia in the early days of the Colony some of whom I’m related to and the effect the hostilities with Germany, in World War 1, did indeed affect many of them. One small lasting example is that our name Habel was “anglicized” (in pronunciation) from “Harble” to “Hayball”, or so the family story goes. Many South Australian Towns named by the original German Settlers were also “anglicized”… such a shame. PS… yes, Adam-Smith’s “The Anzacs” is excellent. 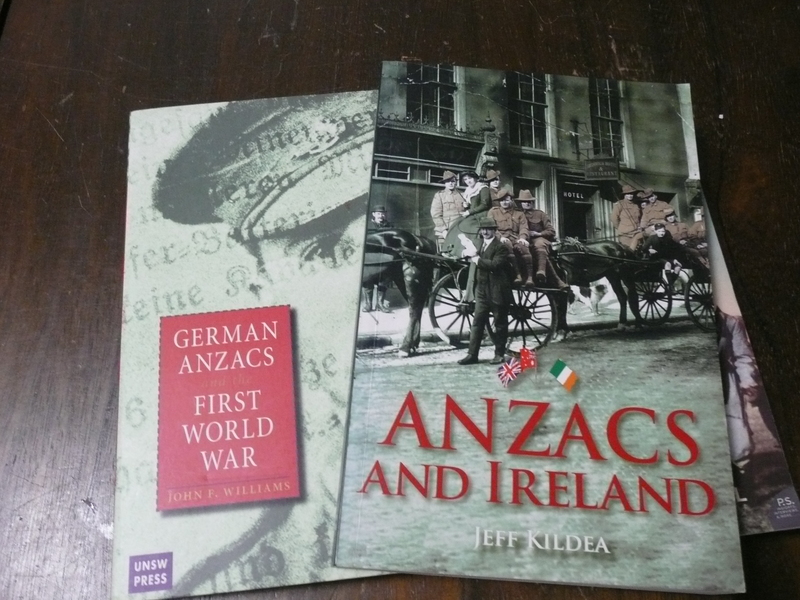 Must get myself a copy of “Anzacs and Ireland”… it sounds fascinating. Hi Catherine, Thank you so much for the additional references and info on this topic. I’m sure many people will find this interesting & useful. I knew of the BCOF troops because one of my father’s cousins was stationed in Hiroshima also with Royal Australian Electrical and Mechanical Engineers Corps (RAEME). His name was Greg Kunkel (I wonder if your husband’s uncle is still alive despite the radiation, probably not and neither is Greg). You’ve given me additional reading with your suggestions, which is great…always happy to find a new book. 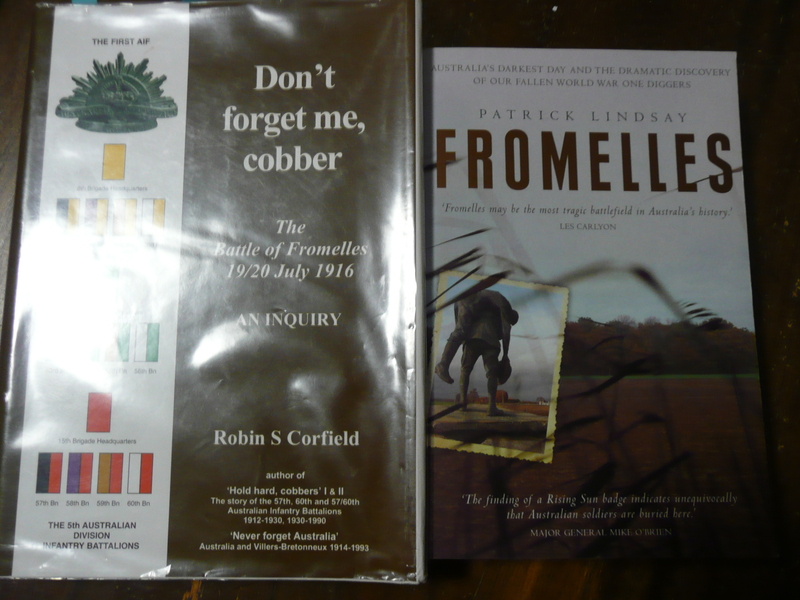 I hadn’t known of Somme Mud or the BCOF history. I have a feeling that I may have the 1993 mag tucked away “somewhere”. Corkhill’s view re the Germans in Qld wrt WWI is that because it was a large dispersed state, they weren’t harrassed to the same extent. My own theory is that the German Catholics perhaps didn’t draw as much flak as they were dispersed into the Irish community more because of religion. I’m sure they still spoke German and saw their German friends, but they were less socially “obvious”. The renaming of places happened in Qld towns and streets too. The name of my hubbie’s uncle, who served with the BCOF in Hiroshima, is Arthur Maxwell ANDERSON (known as Mac), Sadly, he died Apr 1990 from Brain Cancer at the age of 64. Interestingly an article appeared in our Adelaide, “Sunday Mail” on 8 Apr 2012, page 13, titled “Fighting for Recognition: Hiroshima troops seek health card.” Sixty years after the BCOF Troops lived amongst the contamination, without any protection etc., they’re still fighting for full medical benefits as promised by wartime prime minister Ben Chifley in 1946. For more info, people can go to http://www.adelaidenow.com.au … and do a search “Fighting for Recognition”. There are also links to other articles on this topic. I agree with your theory that your Ancestors, being German Catholics , were probably more dispersed into the community than were our South Australian Lutherans who tended to live and work in their own communities, inter-marrying and continuing their customs, language etc … so were a sitting target for the anti German abuse/discrimination during WW1. Two of my great great uncles, who were born here in Australia, but their parents were of German birth, were working in the public service at the time of WW1. They both had to make statements that they were not German sympathisers etc so that they could keep their jobs. In addressing the issue they gave quite a lot of information about the family, some of which I had not found elsewhere. These statements are available from the NAA, and were a great source of information and very enlightening about what people with German surnames faced, even though they readily identified as Australian. That’s fantastic to have found the additional information. I searched the NAA in Qld donkey’s years ago and while I found the documents fascinating, there was nothing about my relatives. Only the odd cryptic comment about parents born in Australia. I feel so sorry for my George Kunkel -he’d been here 60 years, been naturalised etc etc but probably experienced some discrimination.